Curry is a mix of spices. 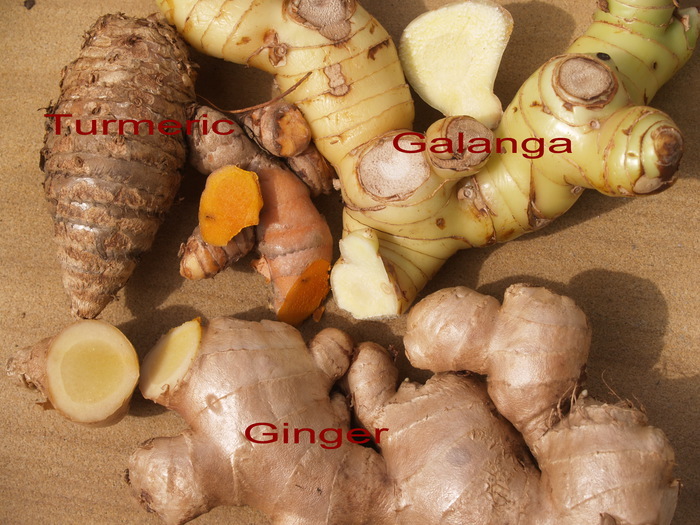 The two basic ingredients are Murraya koeningii, curry tree and Curcuma longa, turmeric. Both species are home in India, the land of origin of curry mixtures. Many other spices can be added to make different tasting curries. The genus Murraya is in the Rutaceae, a family with about 1700 species in 158 genera. There are trees and herbs also outside the tropics. Thailand has about 28 genera with 70 species. All plants in this family have oil glands with a nice aromatic to fetid smell. 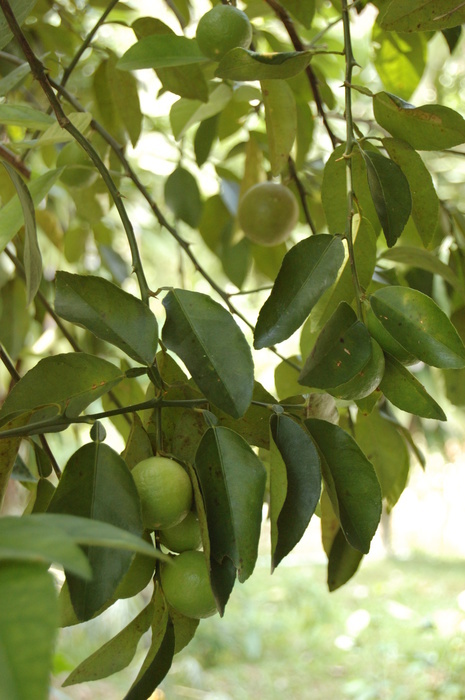 The family is most known for the fruits in genus Citrus: orange, mandarins, lime, citron and many more. Some times these fruits are only cultivated for the volatile oil in the peel of the fruit. For example the volatile peel oil in C. bergamia fruits is the bergamot oil in 'eau de cologne' and 'earl grey tea'. The genus Murraya has about 15 species, 3 in Thailand. Two species are cultivated in Thailand. M. koeningii syn. 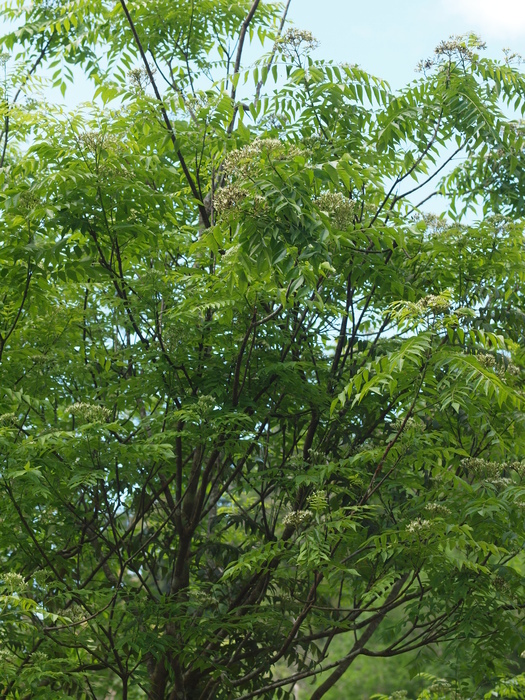 M. foetidissima Thai name หอมแขก (hohm khaek) curry tree or bush. It is up to 15 m. The green divided leaves of this tree are the name giving ingredient in curries. 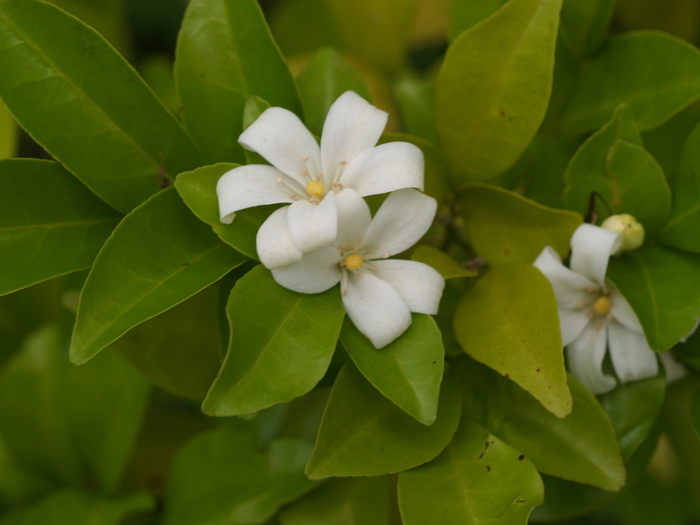 The Thai name means 'good smell of India', the Latin word foetidissima means 'top of bad smelling'. The leaves should be used fresh. On drying the volatile oil is spoiled. M. paniculata, Thai name แก้ว (kaeo), Burmese boxwood. It is planted as an ornamental tree, with white good smelling flowers. The flowers are used for decoration and in cosmetics. The red ripe fruits are eaten raw. 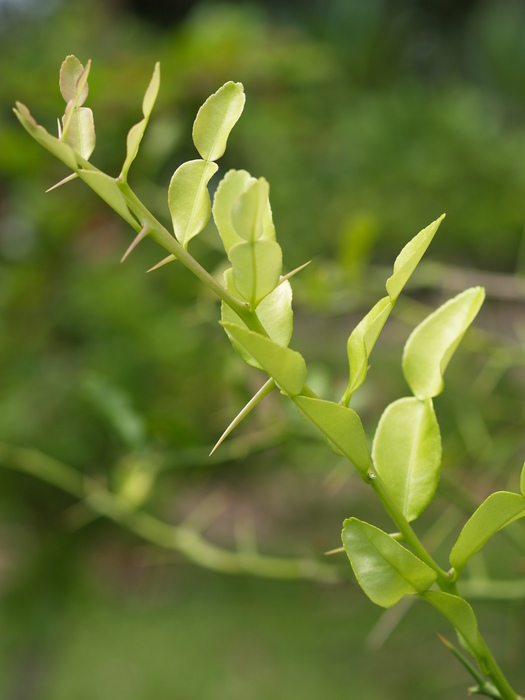 The leaves, bark and fruits are used medicinally against venereal diseases, intestinal worms and dysentery. The wood, special of the roots of Murraya species are used for decorative objects from chessman, flutes to walking sticks. The wood is hard, very strong and durable. Curcuma is a genus in the Zingiberaceae family, largely of tropical herbs. The family has about 1400 species in ca 50 genera. In Thailand about 300 species in 26 genera. The flowers has an calyx and corolla of 3 slips. The showy part of the flowers are modified stamens (staminodia): the lip like structure (labellum) are two staminodia, and the slips along the labellum are each one staminodium. There is one functional stamen present. Many species are cultivated worldwide as spice, medicinal or ornamental plants. Spices like ginger, galanga(l), cardamom and Chinese keys belong to this family. All plants in this family are aromatic plants with a creeping underground root system (rhizome). 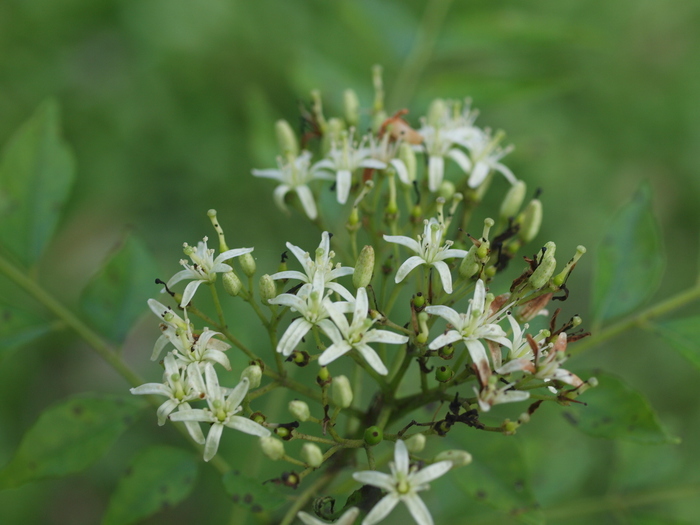 The flowers are at the end of the leafy stems or on separate leafless stems from the rhizome. Rhizomes and seeds are used as spice or medicine. If a species has a large rhizome it can alsao be used a source of starch. 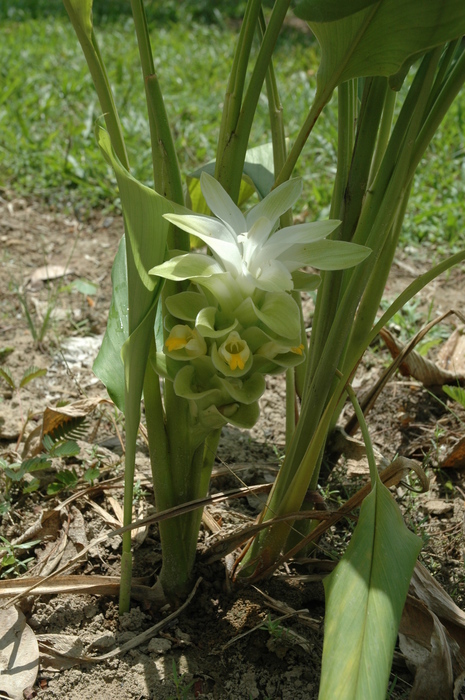 The genus Curcuma has 80 species, in Thailand 50. 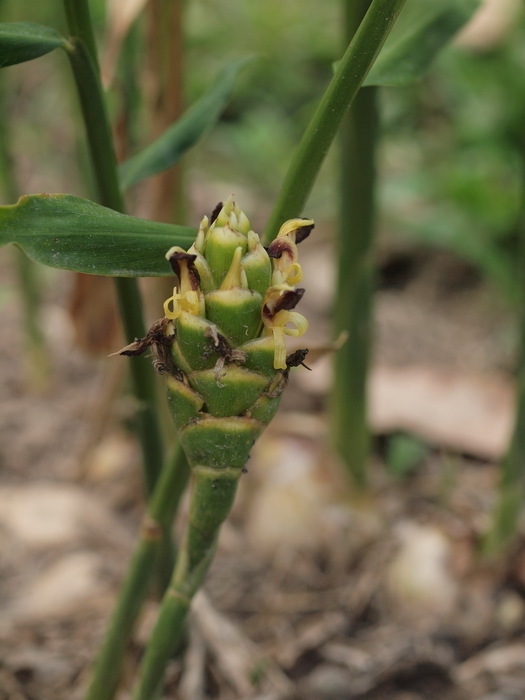 Curcuma plants have flowers on separate stalks growing from the rhizome. 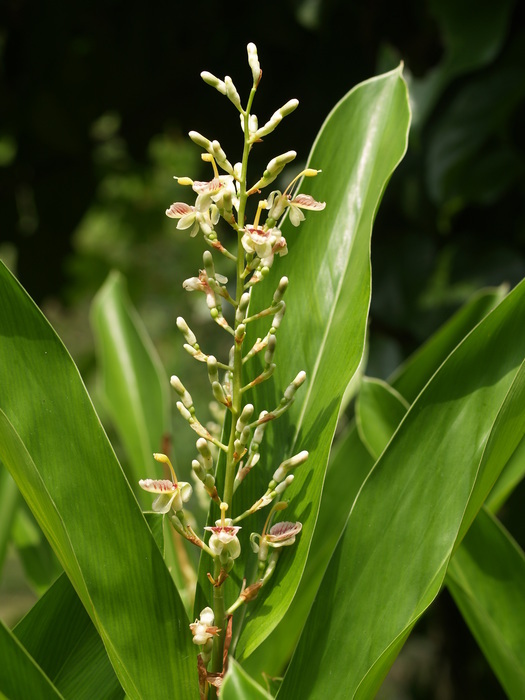 The top of the inflorescence has showy bracts without flowers and is named comosus, the flowers are in the lower part of the inflorescence. Big rhizomes are useful as a source starch. C. longa or C. domestica Thai name ขมิ้น (khamin) turmeric (Eng.) curcuma (Fr.) kunyit (Malaysia) The plant is up to 1 meter. 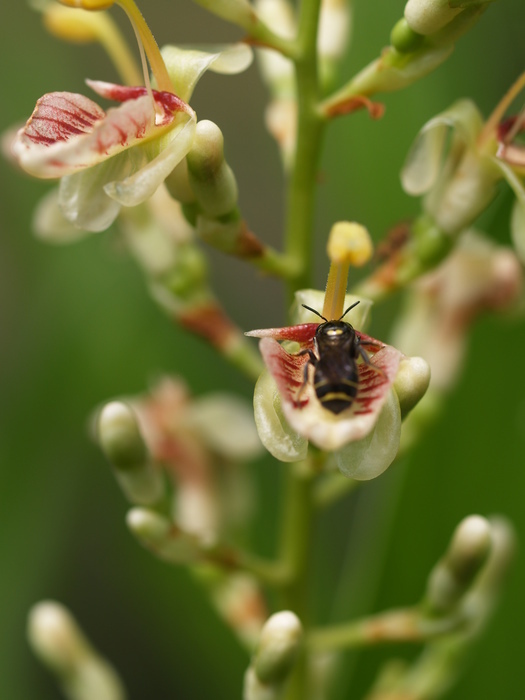 The comosus is white, the flowers are white with a yellow spot on the labellum. The rhizomes are colored deeply orange-yellow and have spicy, aromatic taste. This is the spice that gives the intense yellow color to curry's, piccalilli, sauces , plastics and your fingers. 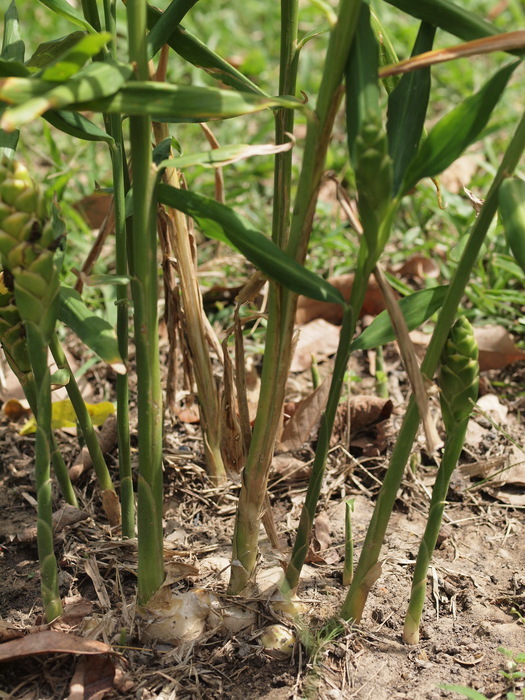 The young shoots and rhizomes of the plant can be eaten as a spicy vegetable. The plants are only known in culture and are a seedless triploid hybrid. The origin is S. or S.E. Asia. India is considered as a center of domestication. Cultivation is possible in all tropics areas, but India and S.E. Asia are the most important producers. The aromatic compounds in the roots are volatile oils with turmerone and zingiberene and other compounds. This turmeric oil can be used as spicy component in the food and fragrance industry. The yellow-orange color is a mixture of curcumines, and is only found a few other plants in this genus. These are the antioxidant components in the powder. They are used as dyes in pharmaceuticals, foods and textile. As a dye it is a good substitute for saffron, the most expensive spice. In Thai cooking the fresh roots is used. 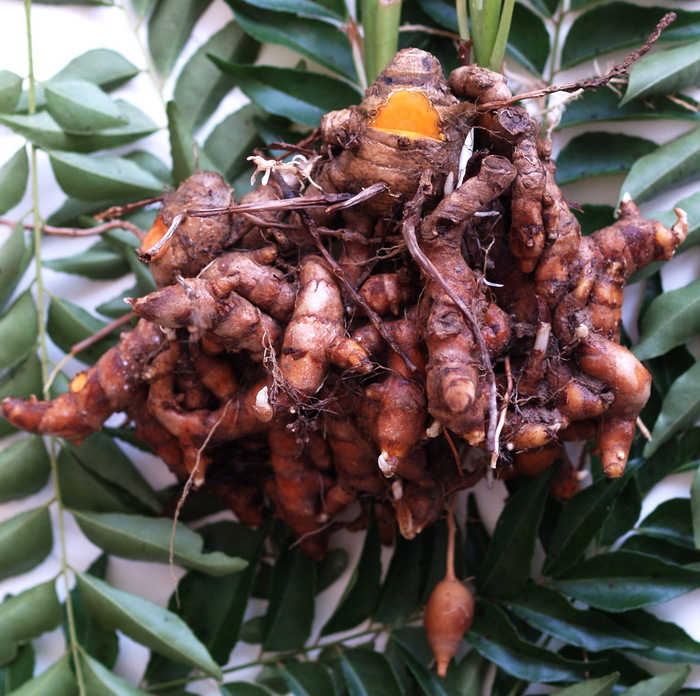 Turmeric powder is prepared from cooked rhizomes because the fresh roots are to corky for easy drying. Turmeric powder should be kept in dark and airtight containers. The volatile oil and curcumines are spoiled by light and oxidation. 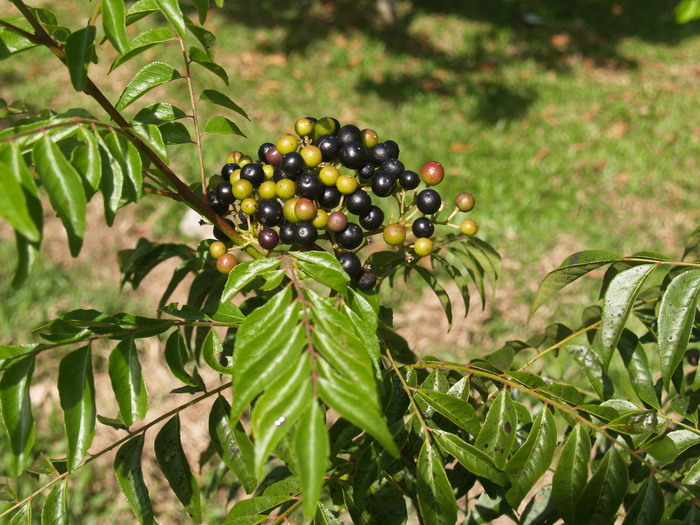 As a medicinal plant it shows pharmaceutical activity against cancer, dermatitis, high cholesterol levels and AIDS. It also has insecticidal, fungicidal and nematicidal activity. The garden has 7 genera and 16 species, 9 species in Citrus. Citrus aurantifolia Thai name มะนาว (ma naow), the common lime, the fruit that sailors used to prevent scurvy. The juice is an ingredient in many drinks and dishes with a sour taste like dishes starting with "tom yam .." or "laab ..". Citrus aurantium Thai name ส้มซ่า (som saa), sour Orange. This tree delivers the officinal orange flowers used in teas and perfumes. The peel of the fruit is the source of orange bitters. 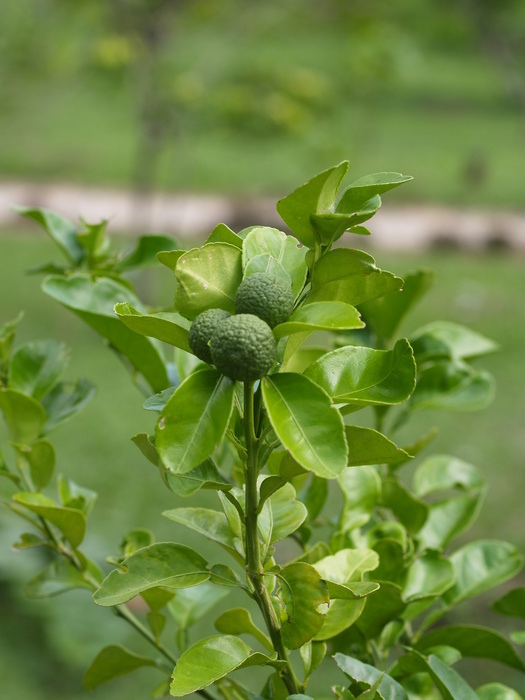 Citrus hystrix Thai name มะกรูด (ma kruut), leech lime. The fresh fruit can be used, but it’s the leaf with a harsh citron-like smell and taste that is used in soups and many other dishes for a strong citron aroma. In dishes in Thailand you have to take out the leaves by your self, the leaves are not nice for eating. 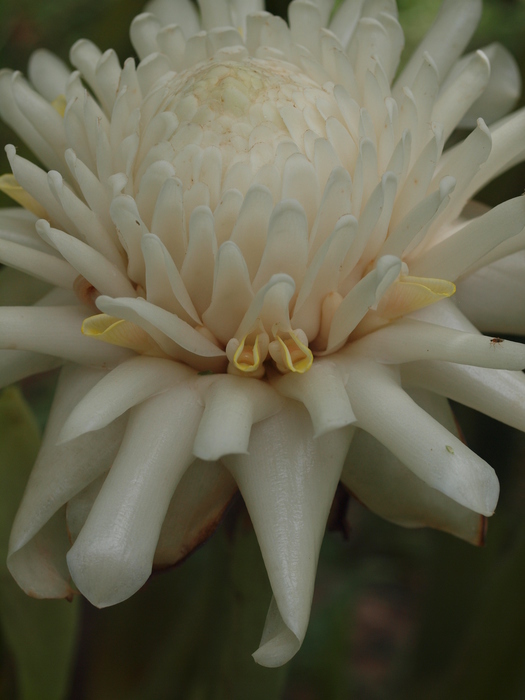 The garden has 10 genera and 50 species, but many plants have a Thai name only or no name at all. A few examples. Alpinia galanga Thai name ข่า (khaa) galangal,(big) galanga or laos. It is a very common spice in soups and curries. Plants in this genus has their flowers on top of the stems. Alpinia officinarum Thai name ข่าเล็ก (khaa lek), lesser galanga. In scientific names words starting with offici~ means that this plant has been or still is used in the Western world pharmacies. All parts of the plants of this species are smaller than from the big one, but the taste is more pungent. The use is the same as for big galanga. 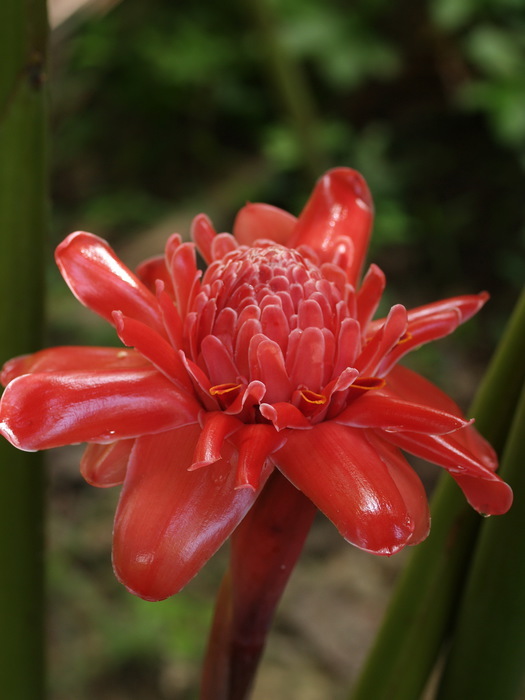 Etlingera elatior Thai name กะลา, ดาหลา ( kalaa , dalaa) , torch ginger. 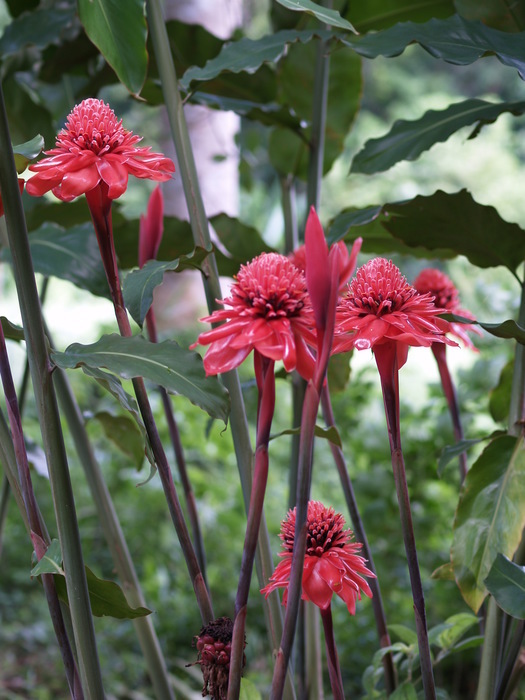 The flowers red, pink or white are edible and cooked in bud as vegetable.The roots can be used as a substitute for ginger. But the taste is different. A very popular ornamental plant in S.E Asia. This text is largely based on PROSEA 5(3), Timber Trees: lesser-known timbers p 389-391 (Murraya); PROSEA 13, Spices p 111-116. 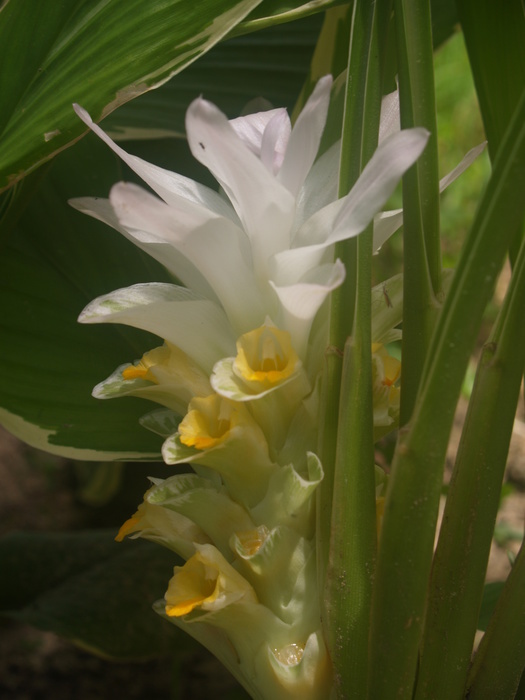 (Curcuma longa). Next links are to this side: curry, curcuma. A nice illustrated book over Zingiberaceae in Thailand, with a key to the 26 Thai genera (450 ฿ ). Chapter 1 is an interesting introduction to the history of plant collections in Thailand. The real exploration started in 1902 with A.F.G. Kerr, an medicinal doctor. In 1920 Kerr was founder and director of the first botanical institute in Bangkok, the first herbarium in Thailand. This is very late compared with Western colonized countries.